The Second World War is the bloodiest and deadliest conflict in history: more than 60 million people killed in six years of bitter fighting. For much of that time, Hitler's Germany and the Axis powers seemed invincible and Britons feared not only for their lives but for their country's freedom and future. By 1944 the Russian army had managed to turn back the German tide in the east. The Allies desperately needed to do the same in the west. Somehow they had to break out of barricaded Britain and put troops on to mainland Europe. Only by joining the Russian march on Berlin could Britain and America hope to secure a favourable peace. D-Day to Berlin: The Long March To Victory is a unique retelling of how this was done. 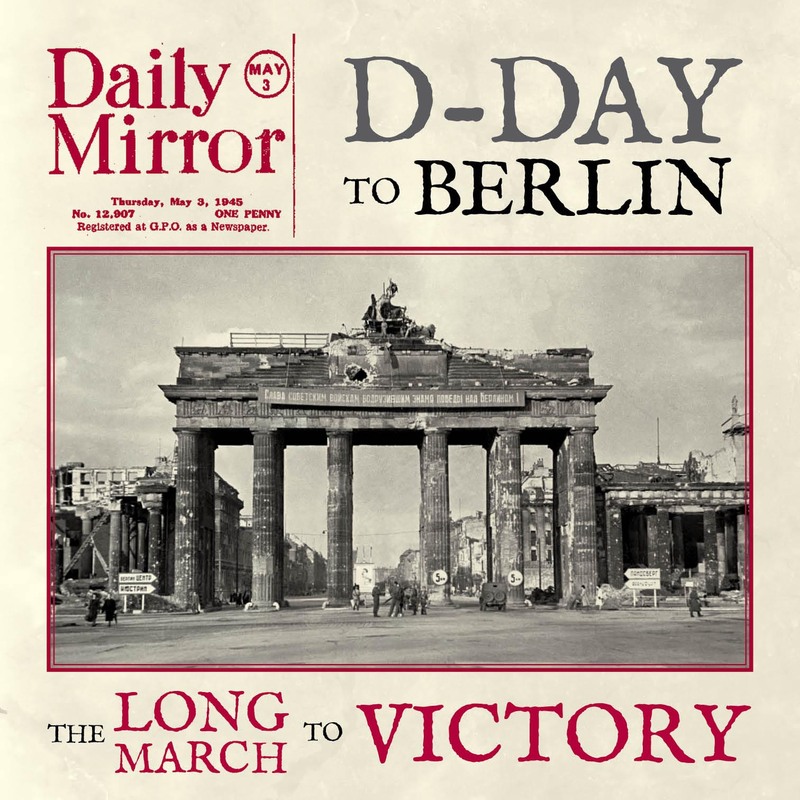 From June 6 1944, when hundreds of thousands of Allied troops came ashore on five Normandy beaches, to May 2 1945, when the German army surrendered in Berlin, these dramatic and historic events are described as they happened and as they were told through the pages of The Daily Mirror. A truly remarkable era experienced as never before.